Last Summer my friend went to New York and kindly enough brought me back a bunch of different beauty products that you can't buy here in Ireland. 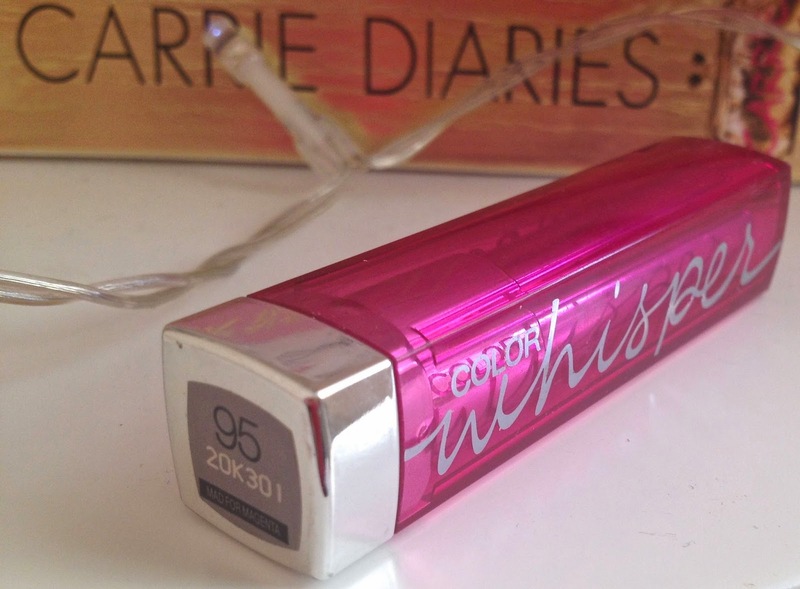 One of those products being the Maybelline 'Color Whisper'. At the time there was only 8 shades available and since I couldn't see them in person to swatch for myself I let her pick out the shade. I'm not too fussed when it comes to lipshades anyway. I will wear anything from the brightest of oranges to the darkest of reds. She did good and picked up the gorgeous 'Mad for Magenta' / 95. 'Mad for Magenta' is a stunning pinky shade with slight hints of shimmer. The shimmer is barely visible on your lips which I really like. Depending on how the light hits your lips you barely notice it at all, very subtle. 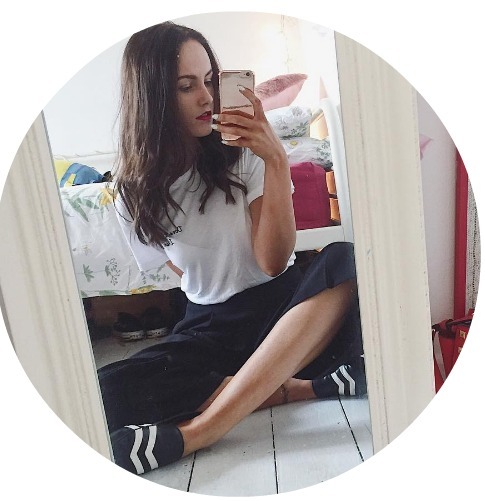 Perfect for all year round. 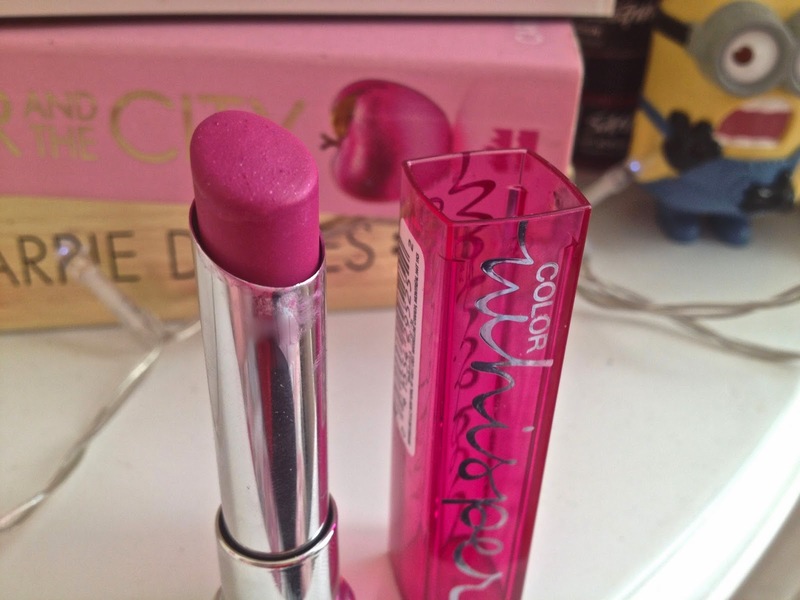 I'm a typical girly girl and this shade just screams barbie to me. The Color Whispers look very similar to the ever so popular Revlon lip butters but the similarities only lie in the packaging. The two couldn't be any different. The Color Whispers are a gel based formula and apply more like a lipstick where as the lip butters are creamier and more like a heavily pigmented lip gloss. 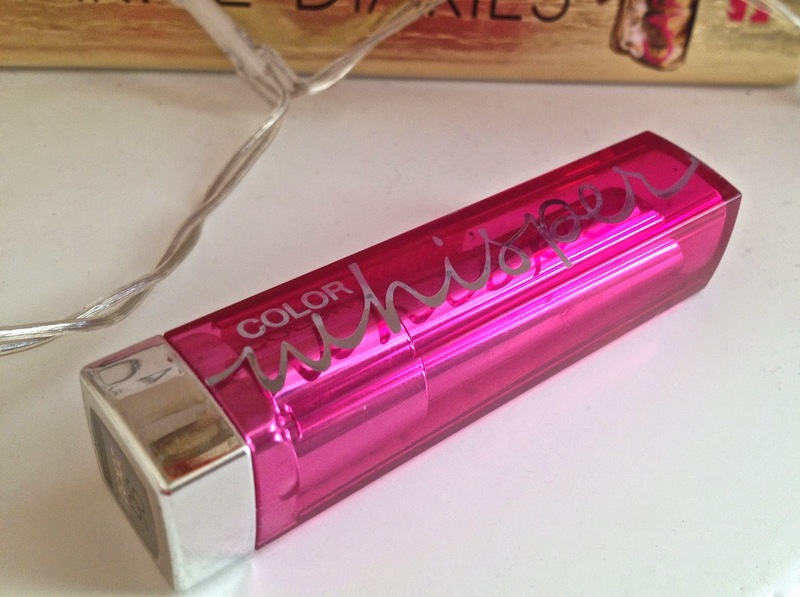 Personally I prefer the color whisper. I find the color payoff is a lot stronger than the lip butters. The product doesn't dry my lips out like the lip butters did and I find it lasts a lot longer through out the day. I needed the odd touch up after a cup of tea but in terms of longevity I got a good 4 to 5 hours before needing to reapply. I find this shade in particular to be very buildable. I could apply just a tiny bit to give my lips a subtle pink tint or a lot heavier for a full on pop of magenta. I'm obsessed with the Color Whispers and I really wish Maybelline would hurry up and release them here so I can spend all my $$$$$ on them. Oh hope they release them here soon too!